The owners of Greenstead Green Farm had a large aisled Grade II listed barn which was no longer used. 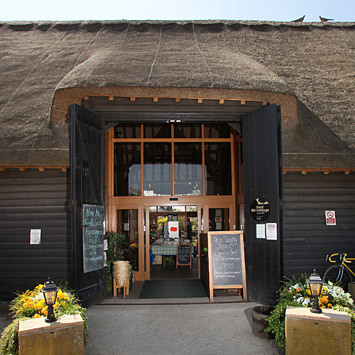 They took the confident and entrepreneurial decision to convert it into a Farm Shop and Post Office to diversify the farm and provide a much needed facility for the local community. The main focus for the design was to provide a café and delicatessen as well as a shop selling local produce and products and a Post Office, to replace the village Post Office that had recently been closed. 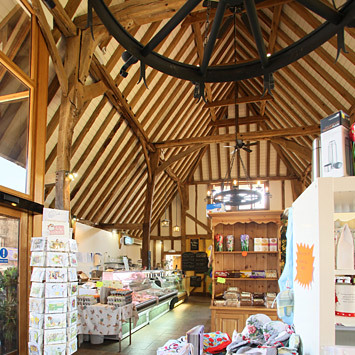 It was important that the barn conversion was designed to stand out from the many other barns in the area, so that the building would be both visually attractive and a desirable place to shop. 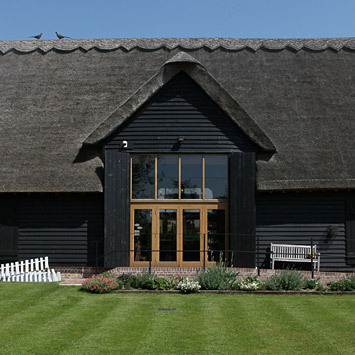 The existing barn had an asbestos roof which was removed and replaced with a thatch roof to give impact. The barn has a beautifully high internal frame which was repaired using oak and has been left exposed to add to the impact.